Nail Art Stickers by OnlineNailBar.com - Review! | Sahrish Adeel - Malaysia based Pakistani Beauty & Lifestyle Blogger! 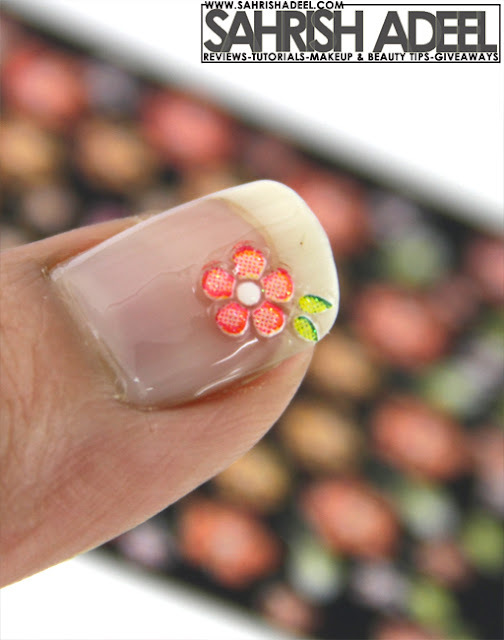 Do you love those fancy nail arts and wish you could do one on your nails but you just can't? Come, join the club! I really like nail art but I don't actually like to spend that much time on it. And on the other hand, even if I manage to spend that much time on trying one, a full time mother/wife like me can never get to sit for minutes to wait one coat to dry so I can apply the other one. I know its going to end up in a disaster. Anyways, when a person like me can't get hands on real nail art, stamping kits and stickers are the most handy things in this world. I got to try some nail art stickers recently by OnlineNailBar.com and let's see how I found them. 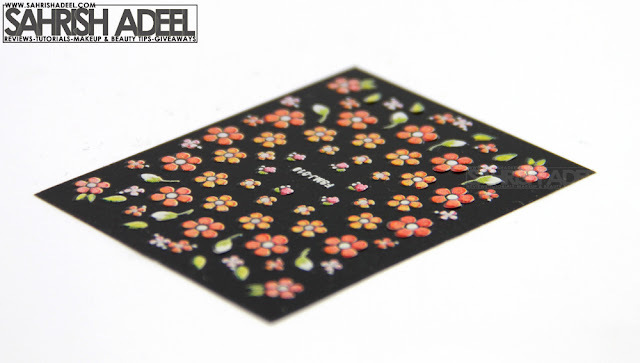 Nail art stickers are one of the most popular nail art products available. They are so simple to apply and yet they are so effective at enhancing your nails designs. Onlinenailbar.com stock a fantastic range of nail art stickers. Each sheet contains between 30 and 60+ stickers so this means that you can complete mutliple manicures or share with friends. 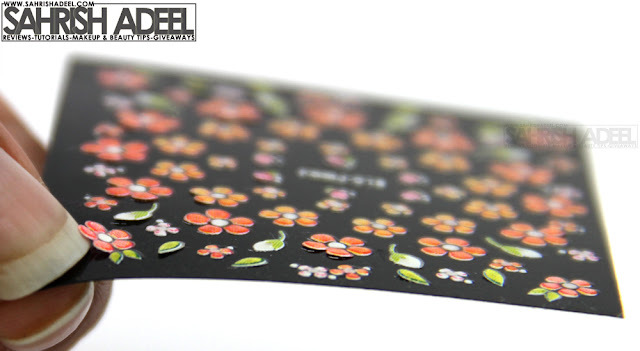 Nail art stickers are easy to use and create a professional looking manicure which ends up costing pennies. Comes in many different shapes and colors. Can be reused if proper care is taken. The pattern is slid from the basic transparent sticker just a bit. This is what I cam up with. I just applied a clear base coat, placed the sticker while base coat was still wet and after it was secured and dried, I applied two top coats. Took this picture while top coat was still wet so the finish might not be really smooth. It lasted on my nail for four days. Kindly keep in mind that I do all the cleaning, washing and every house chore possible, every day. So for me, they lasted pretty well. If you apply a top coat when you feel like its coming off, it will last even longer. I will recommend this if you can't do nail art and want a bit of fun on your nails. Extremely suitable for young girls as well. These nail art stickers are available at OnlineNailBar.com for £1.25 GBP and is available in various different colors and shapes. They ship to various countries. For more details on shipping charges and variety, visite their website here.